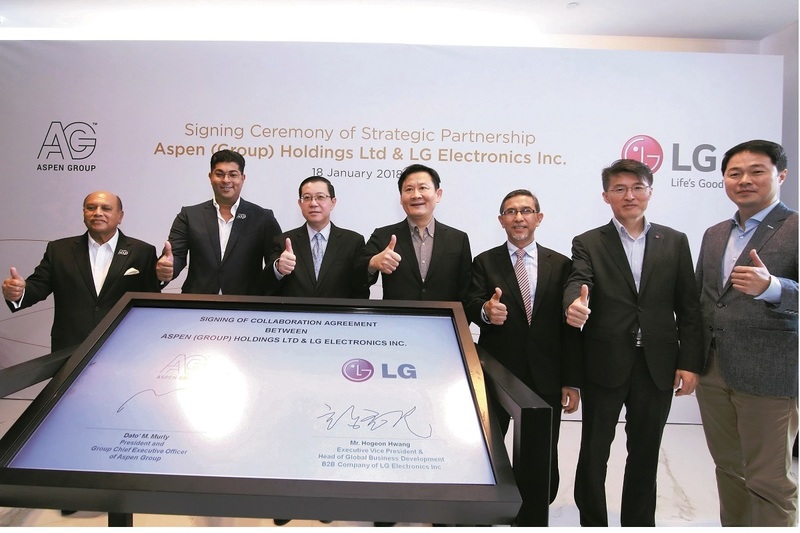 KUALA LUMPUR (Jan 19): Penang-based property developer Aspen (Group) Holdings Ltd has teamed up with South Korea’s LG Electronics Inc to provide the latest in technology solutions, Internet of Things- (IoT) enabled platform and innovative products and services across Aspen’s developments in Malaysia and Southeast Asia. This includes its flagship Aspen Vision City project in Batu Kawan, Penang, which is jointly developed with Ikea Southeast Asia. Other than offering a wide range of LG products, services and technology solutions, LG will also work closely with Aspen to innovate and incubate innovative ideas for the development of smart services, smart buildings and a smart city under the partnership. “In addition, the companies have agreed to continuously explore opportunities for further cooperation through available platforms and participate in joint marketing efforts to provide mutual support to each other for promising advancements,” said Aspen in a statement yesterday. LG will also set up its first academy in Malaysia, where it will provide specialised skills, mechanical training and support in aftersales service [for] LG’s products. To kick-start the collaboration, the first phase of the Aspen Vision City master plan — Vervéa, which features shop offices — will be installed with high-tech outdoor digital signage solutions by LG, which can be tailored to send out messages and interact with the public when they walk or drive past within its premises. “We look forward to working hand in hand with them (LG) on a wide range of strategic projects, to develop a smart city with buildings furnished with smart facilities and services,” said Aspen president and group chief executive officer Datuk M Murly. This article first appeared in The Edge Financial Daily, on Jan 19, 2018.